Structured Settlement Transfer - Will the Judge Approve It? Structured Settlement Transfer: Will the Judge Say Yes or No? For your structured settlement transfer to go through and be valid, it must be approved by a judge in court, and you may have to show up in court personally along with your legal representative and the buying company. 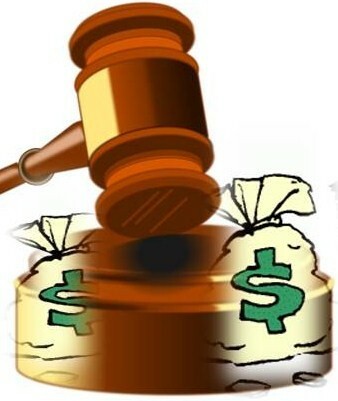 The reason that a hearing in court is required is for your protection to ensure that "factoring companies" (who buy out structured settlement payments) is not taking advantage of you and charging a very high rate that is not considered to be in your best interest. If a structured settlement buyer is attempting to get around the court approval and enters in a private agreement with you to sell them your structured settlement payments, an excise tax of 40% may be imposed on the profits that the buying company is earning from your structured settlement transfer, i.e. the difference between the future value of your aggregate payments and the amount that the company is paying out to you for selling the payments (that is much less than what you would get in the future periodic payments). When a structured settlement buyer is offering you to circumvent the law and sell them your settlement payments without a court order - RUN away. Do not agree to this, and refuse to do any business with the company who may be dishonest and involved in fraudulent and illegitimate activity. After agreeing on a deal and signing documents, the structured settlement buying company will file a court petition and schedule a hearing through their or your attorney. The scheduled day in court will typically be between 30 days (if you are lucky) and 45 to 60 days, and in some cases even longer. Only in rare cases may you be able to get a sooner date. The scheduling also depends on the state and county where the petition is filed. In states like New York it may be harder and take long to get a court date. In some NY counties, however, you may still succeed in getting a date sooner. Waiting for the court: are you still interested? The waiting time for the court date may be an important aspect to consider when thinking about a structured settlement tansfer. After all, you are selling your valuable structured settlement payments because you are in need of money now. Perhaps you are facing an eviction, or having to pay off debts, and are dependent on immediate funds, but if the court hearing can't be scheduled before some time, you'll have to decide if the deal is still worthwhile to you. Likewise, it may not be in the interest of the structured settlement buyer to purchase your payments if it will take too long to schedule a court date, as the buyer may need to deposit the lump sum money for you in an escrow account and leave it there until the approval and closing of the transfer deal. What is the reason for selling your structured settlement payments? What will you use the lump sum money for? How will you support yourself and your dependents following the sale? Were you given a full written disclosure and oral explanation of the structured settlement transfer process and rates by the buyer? Did you seek outside and independent advise in regard to the sale decision? What is the discounting rate and the amount you will be paid for selling your structured settlement payments? You may need to provided supporting papers, affidavits and documents supporting your claims, including proof of income and evidence for the reasons that you need the money presently. Note: while structured settlement buyers may be doing their best in getting through the transfer process quickly and smoothly, doing the paper work and scheduling the court hearing, some unforeseen problems may emerge during the process, such as an important paper being misplaced and having to be relocated, or the court date being delayed for some reasons, and not everything could be prevented beforehand. What counts, however, is how well the company is doing in solving matters quickly and doing everything in their capacity to speed the process and get you the money as quickly as possible. If a structured settlement buying company offers to bypass the court order that is now required by most if not all States in the US to buy out your payments, refuse and do not deal with that buyer. Make sure that the buyer is active and working in your interest and not dragging on time for no valid reason. If the company fails to return your calls and answer your questions tell them good buy and look elsewhere to sell your settlement payments. Will the judge approve of your structured settlement transfer or decline the transaction? Appearing before the judge, you may be asked some questions linked to the structured settlement transfer. Your answers may play a role in the judge's decision to authorize or turn down your transfer request. There is no reason to be anxious once you have a good reason for selling payments and you know the sale is in your interest and you'll be able to manage the capital and support yourself following the transfer. Note: anti-assignment clauses in the original structured settlement assignment papers are usually not a cause for the judge to decline your transfer. It is, however, recommended to thoroughly review the terms of the settlement agreement along with your lawyer to rule out terms against selling your structured settlement payments. For more on doing a structured settlement transfer in New York, California, New Jersey, or other state, give us a call, or contact us here. Considering a Structured Settlement Transfer?